NetTradeX Android Mobile trading terminal is a part of NetTradeX trading platform which has a wide functionality for trading in the Forex market. 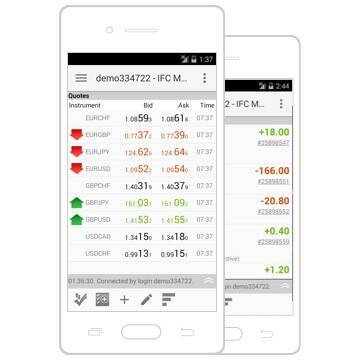 NetTradeX Android is designed to bring your routine trading right onto your Android device. The platform carries all the basic trading and administrative functionality of a full scale desktop platform. Main features of this terminal may be found in NetTradeX Android user guide. Go to the list of installed programs, click the program name, then press the "delete" button.